When young kids participate in dance classes, they almost always wind up having a great time. While they always leave with a smile on their face, the moment that they have to say goodbye to mommy or daddy and join the rest of the group is a different story. If your child is struggling with separation anxiety during dance classes don’t worry; you’re not the first parent that has had to overcome this. Here are a few tips to help make the transition of joining the class a bit easier for your child. Even though you know that it’s just a short while that they’ll be in class, this period of time can seem much longer to your children. That being said, it’s always good to hear them out and make sure that their fears are validated. Give them some time to calm down, and explain to them that it’s just for a short while. Once they dive into the exercises, it becomes a bit easier for them to enjoy themselves. There’s no need for you to feel like you have to overcome this challenge on your own. The staff at Miss Colleen’s Elite Dancentre have dealt with this quite a bit. In that time, we’ve learned various techniques to help make sure that your child remains entertained and involved throughout the class. Just let us know that this is something that your child is struggling with, and we’ll do our best to make it a smoother transition. If you know that your child struggles with having to leave your side for class, it’s always good to get to the studio a little early. While this does buy you some time in terms of calming them down and hearing their fears out, it’s also great for helping them get familiar with the studio. At times, it can be a bit difficult for them to leave a parent when they’re still not entirely comfortable in this new setting. One of the best things that you can do for your child is to give them the opportunity to socialize and meet some of the other students in the class. We do our best to introduce students to one another and have them work together throughout classes, so it shouldn’t be too difficult for them to get some time learning each other’s names. If they have a friend that is in the same class with them, they will most certainly start to look forward to attending class, and the goodbye process won’t be so difficult. 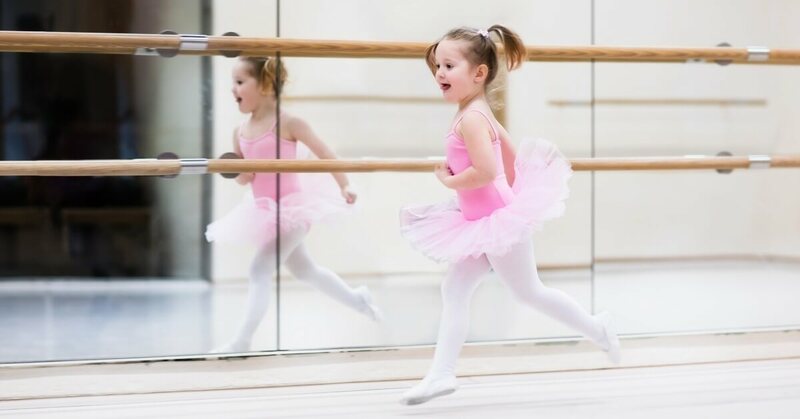 There are countless benefits to your child participating in a dance class. While it might be difficult for them to get used to saying goodbye and heading to class, this is something that will come with time. If you’re interested in learning more about the classes that we offer here in Rockville Centre, stop on in! We are always eager to have new dancers join our studio.